An earth air heat exchanger (EAHE) is an underground heat exchanger that captures or dissipates heat to the ground and hence moderates the temperature of the air flowing through it. Though a promising energy efficient option for thermal comfort, EAHE has not diffused much in the society. One reason for its limited application is space constraint. This includes restrictions on the length and route of the EAHE pipe, positioning of the EAHE, the forced interaction between the civil foundations and the EAHE etc. In order to investigate the effectiveness of such a ‘constrained’ EAHE, an EAHE was installed under such urban constraints and its performance was measured. 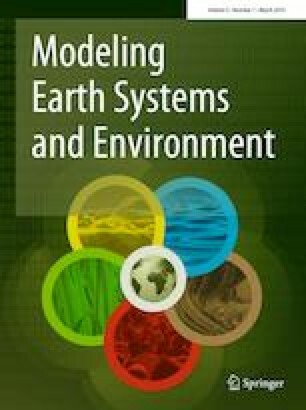 Simultaneously a predictive 3-dimensional numerical transient model was developed to study the impact of model parameters on the EAHE’s performance. The model was coded on the MATLABⒸ platform. The developed mathematical model is robust, and it was validated at sites with and without urban constraints across three climatic zones. Model predictions were in good agreement with the measured values. The data and model predictions confirmed that in a semi-arid climatic zone if a constrained EAHE is placed strategically, its performance is not compromised, and it provides the desired cooling even when it is installed at a shallower depth. The authors would like to thank TERI School of Advanced Studies, Delhi, Landmark Design Group, Pune and Dr. VVN Kishore for their expert comments and support.